This press release is in german only. Erstmals offline: Die neue Microsoft-Studenten-Community theSpoke veranstaltet vom 30. Mai bis 8. Juni 2005 eine Roadshow über Programmierung für mobile Geräte sowie PC-Games und Spielekonsolen. Das Event, das sich insbesondere an Schüler und Studenten richtet, findet an zehn Hochschulen in Hamburg, Berlin, Dortmund, München, Paderborn, Ilmenau, Leipzig, Dresden, Karlsruhe und Nürnberg statt. Erste Programmierkenntnisse sind erforderlich, die Teilnahme ist kostenlos. Die Anmeldung erfolgt über www.theSpoke.de. Hier gibt es auch weitere Details zu den einzelnen Veranstaltungen. Unter den Anmeldungen vergibt theSpoke pro Event jeweils 30 Notebook-Mäuse. Bei theSpoke-Veranstaltungen bestimmen die Studenten selbst die Themen. Der Schwerpunkt liegt diesmal auf der Programmierung von mobilen Geräten und Games. So geht es zum einen um die neuesten technischen Entwicklungen im Bereich Smartphone, Pocket PCs und Tablet PCs sowie die Anleitung, Anwendungen für diese Geräte zu schreiben. Zum anderen dreht es sich um Games Development und damit um Graphikprogrammierung mit Direct X sowie um die generelle Einführung in die Spiele-Programmierung. Behandelt werden aber auch aktuelle Trends, Anforderungen und Tipps, in diesem Bereich selbst tätig zu werden. Die Events und alle Vorträge bauen auf vorhandenen technischen Hintergrund auf, so dass eine Teilnahme erste Erfahrungen in der Software-Programmierung voraussetzt. Die Referenten von Microsoft sind die Technologie-Berater Frank Prengel und Dirk Primbs. Vortragende sind außerdem Thomas Kaufmann Geschäftsführer und Leadprogrammer von den Aruba Studios sowie Thomas Dlugaiczyk von der Games Academy in Berlin und Stephan Oetzel Consultant bei Flow Office. Weitere Informationen zu der Roadshow und den Referenten sowie zur Anmeldung gibt es über www.theSpoke.de. Unter allen Anmeldungen pro Event vergibt theSpoke jeweils 30 Notebook Mäuse von Microsoft. what would happen if someone hacks DCF77 time signal? Some days ago we talked about: What would happen if someone hacks the DCF77 time signal? If you don’t know what the DCF77 signal is, read the small description here. 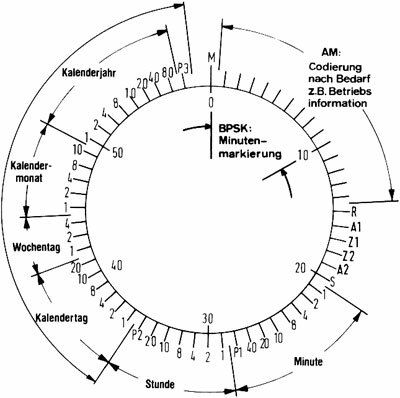 Anyway: Many things are automated these days when it comes to time dependant actions. For example working time registration, backups, cash terminals just to name a few. 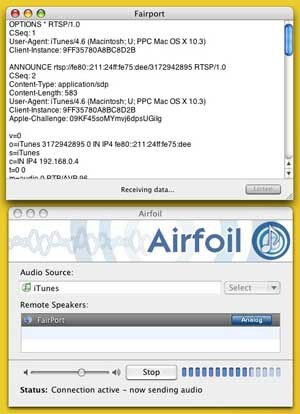 These services all depend on the assumption that they all have the correct time… Normally they get their standard-time from the internet or by radio (the mentioned dcf77). In the first case I think many things will go wrong when the dcf77 time signal is manipulated… backups could be overwritten (tape overwrite protection expired…) … money wouldn’t be counted as disbursed … maybe things would just fail. Sounds not a that bad idea, doesn’t it? We’ll see when it maybe just happens sometime. NO I AM NOT PLANNING TO DO SOMETHING LIKE THIS! Uncategorizedhack-the-planet, Hardware, Research, Riot, stream1 Comment on what would happen if someone hacks DCF77 time signal? You provide the light saber. I’ll provide the wireless LAN. 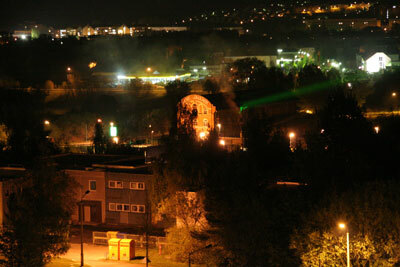 This evening the grey sky of Ilmenau was illuminated by something similar to Yodas green light saber. 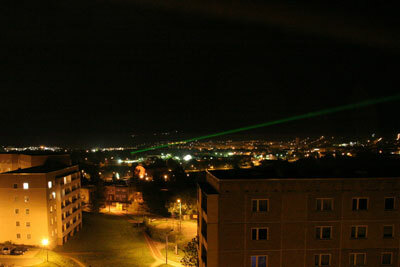 Actually it IS a laser of unknown power which seems to be used to “draw a straight line” above the roofs of the sleepy Ilmenau citizens. 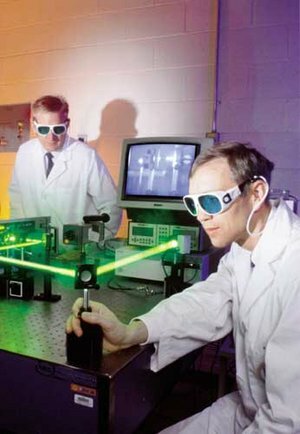 Fortunately this is just a picture to show you what the laser should look like close-by. And now cheer for the great pictures that where taken this night. They show the impressive skyline of Ilmenau and the even more impressive light saber by night. Uncategorizedhack-the-planet, Hardware, makes-my-day, networking, Research, stream, TU-Ilmenau3 Comments on You provide the light saber. I’ll provide the wireless LAN. As usual I’ve got a very strange wish what nobody else seems to have on this planet. I have several computers of different platforms. And on one of this machines there are speakers attached…I want to have the possibility to output from any of the machines to the speakers. And please loss-less and low latency!